Women Abuv Ground (WAG) is an organization providing women and people of color with the tools to get ahead in the marijuana industry’s “Green Rush”. This includes education, connections and support networks. This means workshops, classes and seminars for all of the organization’s members. As we here at Leafwell are all about giving people the chance and ability to grow their own, we were intrigued by WAG. We decided to catch up founder Bonita “Bo”. You have assembled a group of amazing women as part of Women Abuv Ground. Did this happen organically or did you go on a mission to find them? When I initially began my venture into the cannabis business, I didn’t have much support. I had to do my own research to determine my place and career options in the industry. As a woman of color, I was looking for ways to connect with others like me, but there wasn’t an organization to nurture these types of relationships. I knew I had to change this dynamic. So, I founded Women Abuv Ground (WAG), a professional networking organization dedicated to educating and empowering minority women in the emerging cannabis industry. I started WAG after realizing there was a void in the industry for people of color. This inspired me to create a networking group for people of color that would provide an environment of empowerment, support, education and encouragement as well as offer resources and mentorship to women interested and invested in the cannabis industry. I feel a need to reach out and give a hand to other women who may not know how or where to start a career and/or business in the cannabis business. 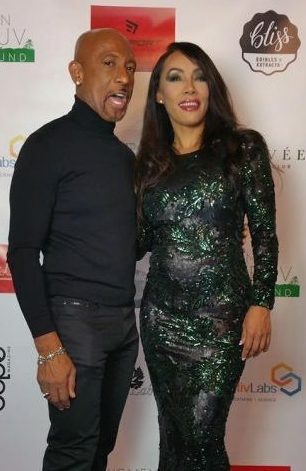 Bonita and Montel Williams at the Cannacool Lounge event. We officially launched WAG this month – during Black History Month – with a splashy, pre-Grammy Awards party, called the CannaCool Lounge. For the 420-friendly community, the signature, lifestyle CannaCool Lounge offered cannabis connoisseurs a chance to explore new brands as well as cannabis-infused food and drinks. The CannaCool Lounge brought out familiar faces from various areas of the entertainment industry as well as industry leaders in the world of cannabis. The celebrity-driven event gave cannabis lovers an opportunity to enjoy the various offerings of cannabis in an entertaining setting. Most importantly, WAG honored Emmy Award-winning TV personality Montel Williams with its first-ever Lifetime Achievement Award for using his celebrity to bring awareness to medical cannabis for the treatment of chronic illnesses. In fact, Montel talks about the need for diversity on the Roland Martin Show, which airs on TV One. We love your tag line “Girls compete, women empower”. Can you tell us what your initial inspiration was to empower more women to become part of the cannabis industry? Women are changing the face of the cannabis industry. Women are wives, mothers, daughters, sisters, and aunts. We’re also the breadwinners, healers and nurturers of the household, making important financial decisions for the good of the family and being fiscally responsible for the household. As states continue to legalize medical marijuana – and therefore lessen its stigma – it will become a viable option to manage and cure chronic health problems. It will be us, women, choosing how to medicate and heal family members. Also, I think the major obstacles keeping women from entering the industry are finances, education and discrimination. In starting any business, you need capital. Expensive start-up and application fees, plus, having the financial resources for a start-up cannabis business can be challenging. Plus, women face racial and gender discrimination in business, along with a fair share of sexism. Just like starting any business, you want to attend workshops and talk with other women who can offer some advice and direction. Women with an entrepreneurial spirit want to cultivate important relationships with other successful businesswomen and learn the tricks of the trade. Again, I encourage everyone to join the green revolution! If you have a desire to be in the cannabis industry, I encourage you to bring your talents and skill set to the cannabis industry. There are so many areas and career opportunities in the industry, and you never have to touch the plant! Leafwell believes that cannabis is medicine pure and simple. Can you give us your thoughts on the healing plant? Absolutely! I began my research of the cannabis industry and became very interested in the healing properties of marijuana. As I traveled to cannabis-related social events and conventions, I learned the ins and outs of the cannabis business. I decided to specialize in the use of cannabis for health and beauty reasons – that is, oils, topicals and creams – forgoing the cultivation route or running a medical marijuana dispensary. 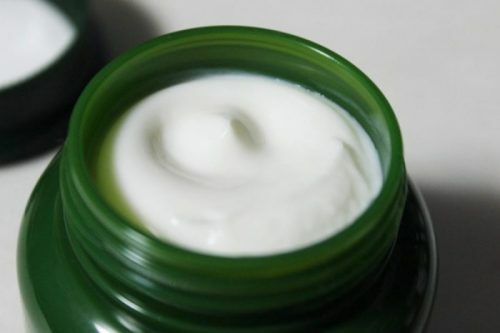 That Glass Jar is a cannabis cream that can treat a variety of conditions. I co-created That Glass Jar™ with my partner and cannapreneur Michelle Bell. That Glass Jar is an organic, herbal cannabis-infused cream that cures Methicillin-resistant Staphylococcus aureus, commonly known as MRSA. Normally MRSA infections occur in people staying in health facilities like hospitals, nursing homes and dialysis centers. Initially, I created That Glass Jar for a friend – that is, Dutch actress/model Princess Inge Hazebrook of the Netherlands – whose breast was infected with MRSA, and there no treatment in sight. After four days of using the cannabis-based cream, Princess Inge was miraculously healed. Her doctors called it a miracle. Word spread about That Glass Jar as Princess Inge shared pictures of her recovery on Facebook, and soon other friends and followers wanted the cream in “that glass jar.” The name stuck. That Glass Jar can also treat a variety of ailments from sun burns, eczema and psoriasis to arthritis, fibromyalgia and some forms of skin cancer. So, I really believe in the power of organic healing. 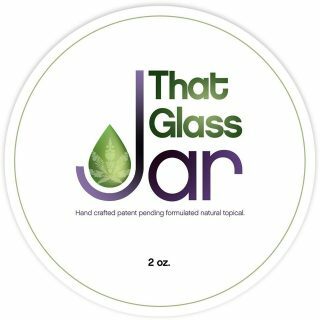 If you want to know more about the magical properties of my cannabis-infused cream, That Glass Jar, visit www.thatglassjar.com or look it up on Facebook. Get social with Bonita “Bo” Money on Facebook, or on Twitter @BonitaMoney and Instagram @BoMoney27. Want to be a part of the green revolution? Check out Women Abuv Ground on its website www.womenabuvground.com, on Facebook or on Instagram @WomenAbuvGround. Could you give us some advice on how to prevent the cannabis industry from big business and monopolization? Well, I don’t know if we really can at the end of the day. We can do things to try to make it less “invasive”. I sat on the board of the LA Cannabis Task Force, which is chaired by attorney Ariel Clark. We fight for the right to keep the craft growers around. To make sure that we are allowed to grow medicine for patients, as well as keep our dispensaries open. We like to make sure that the independents are the main cultivators, rather than big business. But that’s going to take all of us to come together as a community and work with city councils, the state and so on. The county and city in some ways trump the state, so we really have to work together with the politicians to create laws that make sense. So that’s where it’s really important to vote and put the right representatives on the local level for us. It’s a lot of work. Due to the restrictions on home growing in many legalized marijuana states, some people have felt that we have moved backwards in many ways. Do you agree with this sentiment? Well, I voted “No” on Proposition 64 in California, because it just wasn’t a good deal. It put more restrictions on everyone, as far as where they can medicate and what they can grow. That’s a huge problem for patients, especially. With recreational coming into play, we’re talking about – with the taxes and everything else – cannabis potentially becoming more expensive. If we’re not allowed to grow as patients, that can pose a huge problem for us. Overall, the Prop 64 was a bad deal, because it also sets up situations where there’s going to be more arrests as well due to the restrictions. Just like Colorado – they went through the same thing. The percentages went up since legalization as far as the arrest rate goes. I’m also interested in your topical That Glass Jar. How long did it take for you to develop and what were the main obstacles in getting it to market? It took me about 2 days! I developed it because I had a girlfriend with MRSA. She did the conventional treatment – 54 days, 3 surgeries – and nothing worked. She was given 21 days to live. She researched it, so she actually came to me, because she knew I worked with oils and cancer patients. I’d never done a topical, so I didn’t know it would even work. I was scared, because I was, you know, responsible and I didn’t want to be that. But anyway, she said “I’ve been researching this and found that cannabis could potentially work for MRSA”. So I went, “Well, I didn’t know about that; and also, I’ve never worked with MRSA.” So I started to research it myself, and I found that cannabis has extracts that can kill MRSA, as it contains natural antibacterials and antibiotics. So, we just infused some cannabis into a cream and tried it out. But I think my biggest obstacles were over the past year. I spent a lot of time with the legalities of the topical. We were just recently told that we couldn’t list CBD as one of our ingredients or mention it on our labels. Even though CBD is in my cream, I can’t put it as an ingredient. I can’t use the word “CBD” in my labelling, as the government owns the patent to it. We also have DEA issues, as they made hemp a Schedule I drug. So it’s those kind of things that become the biggest obstacles, and there are government issues when you work with CBD. I’m still in a grey area because of this. So, let me get this straight … The government owns the patent for CBD, but it’s a Schedule I drug? Yeah. Isn’t that crazy? But you know, they’re just setting it up so, when it does go fully legal, they control everything. That’s what it is. Home growers are already infringing on the pharmaceutical industry. Any advice for those wanting to get into the cannabis industry? I mean, I’m all for it. My thing is that we’re eventually going to work out the kinks and be OK, but for now it’s just going through the growing pains of legalization. I’m not gonna say, “Don’t do it.” I will say “Stay in compliance.” That’s key. There are lots of companies working in that grey area, and they just haven’t been caught yet. Eventually, they’re going to start cracking down on these types of businesses. I have two friends who are pretty major, and they’ve been hit by the DEA. The bigger you become, the larger you appear on their radar. That’s when these things become an issue. So the biggest thing is to stay in compliance so that you don’t have to deal with these issues. As per usual, our conversation went on for a good deal of time longer. We chatted about NFL superstars, monopolies, the effect of the justice system on people of color, the future of cannabis and a lot more.